This patio home offers a deck off the main floor living room and a patio off the downstairs family room. 2 bedrooms downstairs or make one a sewing room or office. Kitchenette also downstairs for great use during the Holidays or other events. Beautiful natural surroundings of Persimmon Ridge. Enjoy golf, tennis, and the swimming pool. Persimmon Ridge is a subdivision within the city of Louisville, Kentucky. There are currently 42 Homes for Sale within Persimmon Ridge, with asking prices ranging from $79,000 to $780,000. The average list price per square foot of the available inventory in Persimmon Ridge is $203, which is above the Louisville average of $157. The Average Sales price of all sold real estate in this subdivision for the past year is $332,320. Recent comparable homes have been selling for 97.40% of their asking price. Waterfront homes represent 23.81% of the available Persimmon Ridge inventory. The population of Louisville, according to the 2010 Census, is 597,337. The total number of households in the zip code of Persimmon Ridge is 10,749, with an average household size for of 2.72 people. The total number of renter households within the zip code of 40245 is 1,772, which means that 83.51% of households in this zipcode are owner occupant households. 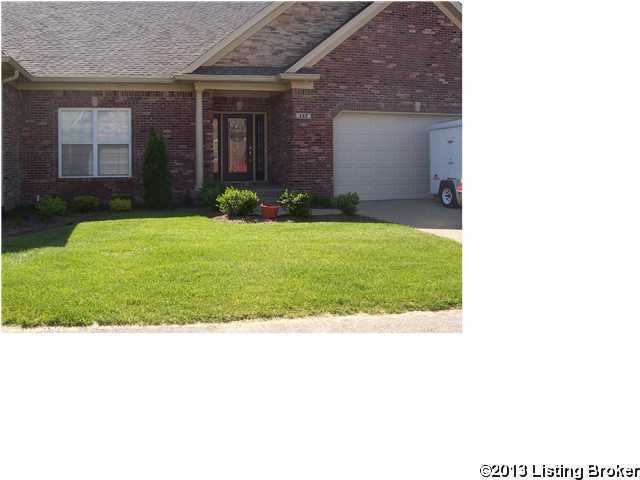 137 Whispering Pines Cir, Louisville KY 40245 is a Condo, with 4 bedrooms which is recently sold, it has 3,243 sqft, 0 sized lot, and 2 Car Garage parking. A comparable Other, has bedrooms and 0 baths, it was built in and is located at and for sale by its owner at $ 0. This home is located in the city of , in zip code , this County Other, it is in the Subdivision, and Woodmont are nearby neighborhoods.